TM-127-1.4-8.5 is a general purpose workhorse. 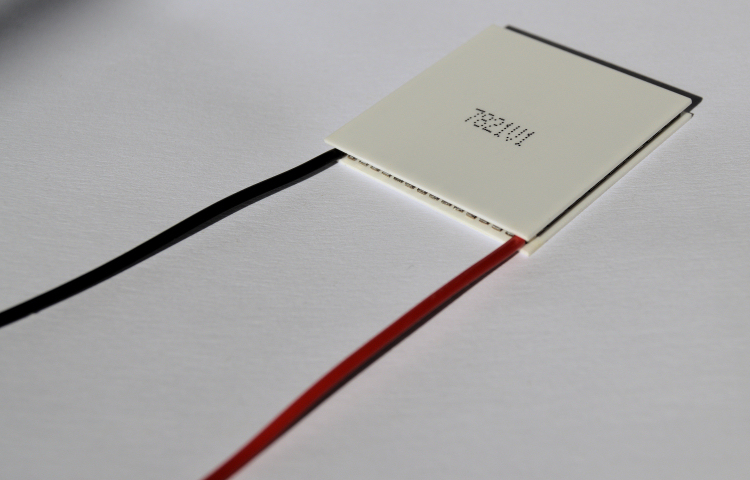 With 78 watts of cooling capacity, it’s our most powerful 40 x 40 mm single-stage thermoelectric module. Typically this module is powered by a 12V DC power source but can accommodate a 15V supply. 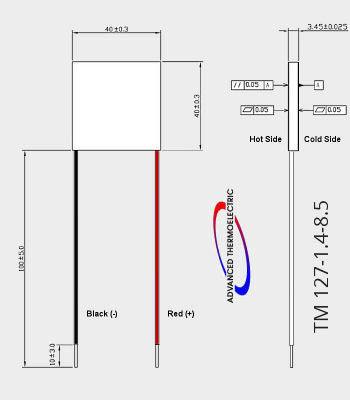 Known by our techs as “The Beast,” TM-127-1.4-8.5 can move a lot of heat but also may send a lot of heat to the “hot-side.” A great choice for applications with a (cooled) liquid heat-sink or a capable forced convection heat-sink. Frequently selected by semiconductor fabs for use in liquid-to-liquid applications. May be used for cooling, heating and temperature stabilization in a wide range of applications including refrigeration, consumer goods, medical, analytical, laboratory & scientific instruments, chillers, telecommunications, electro-optics, industrial and military. A version for thermal cycling is available. Available in strings from 2-12 modules long and with metalized (and tinned) surfaces. 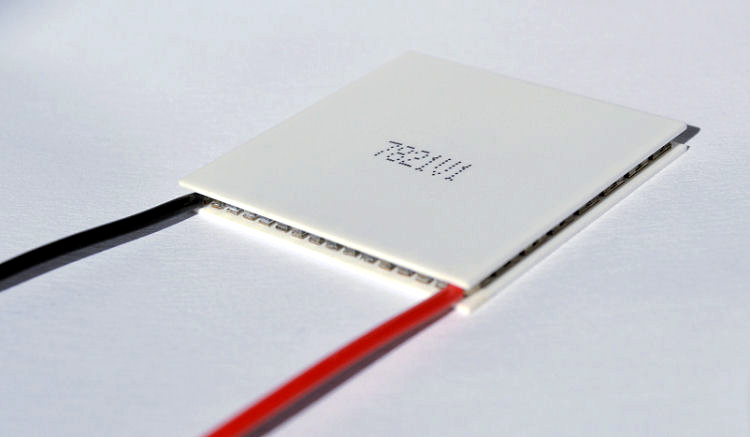 * This module is typically selected for thermoelectric power generation applications, with temperatures up to 200 °C. 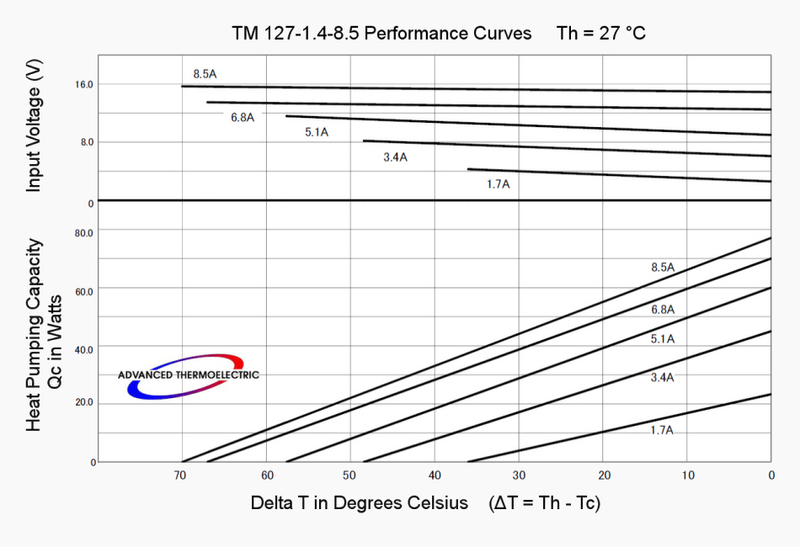 Curves with Th = 27 °C indicate what to expect operating a well designed, fan cooled, assembly in ambient temperatures around 20 °C (70 °F) with an operational "hot-side" temperature or Th about 7 °C above ambient. 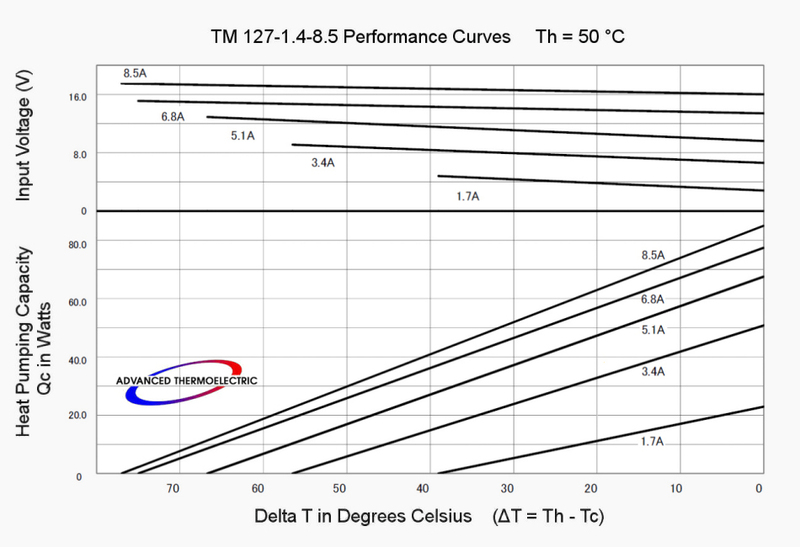 Curves with Th = 50 °C indicate performance expectations from assemblies with limited heat-sinking space and hot-side temperatures about 30 °C above ambient. 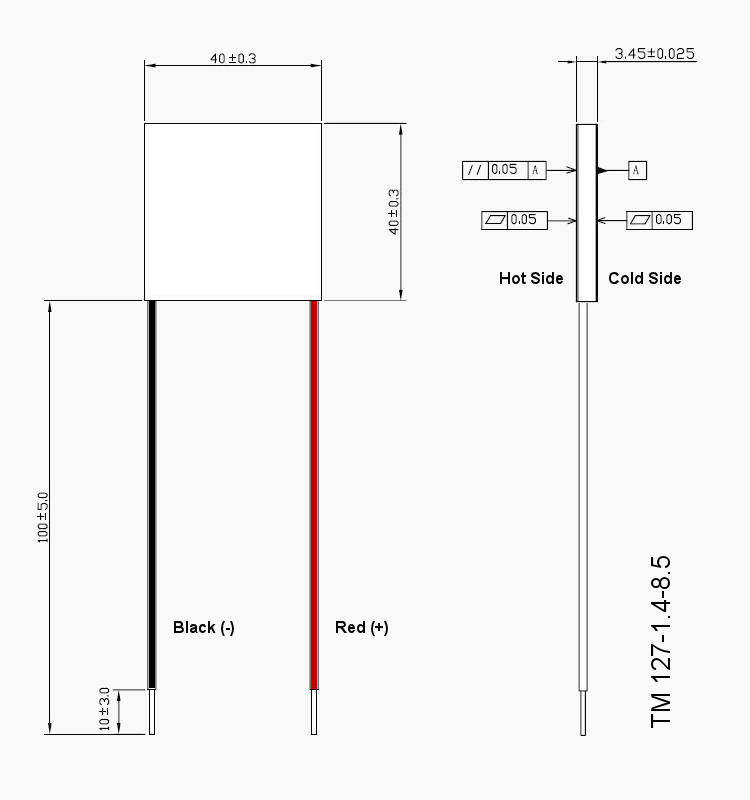 This curve is also helpful for outdoor, box-in-box, and other applications with (relative) ambient temperatures in the 40-50 °C range.